The living room is the most essential part of your home. The interiors of your living room play a vital role in embellishing the structure of your residence. It is the most essential living area of a residential apartment that helps create a sanctuary of dreams that truly reflects how you see yourself. A living room has the extreme potential for beautifully styling the home interiors, whether it is a complete revamp or chic shake up. It is imperative to find the perfect combination of style, comfort, and practicality for your living room interiors. Since, interiors play a vital role in the embellishing the psychical appearance of a residence, people often take the help of the professional designers to renovate the house living room interiors. Interior designer’s help to beautify the home interiors while at the same time help of maximize the space and brings in transformations that are adorable. 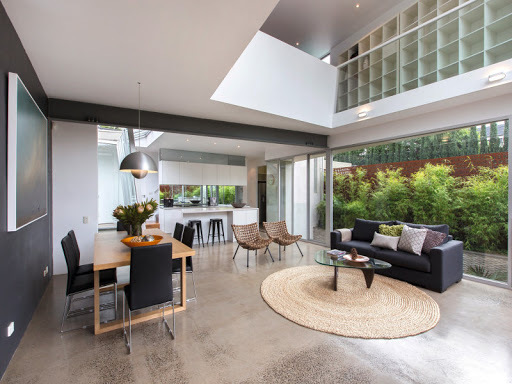 The Melbourne interior decorators are famous across the world for overlaying home interior renovation design structures that can wonderfully redesign your living spaces with attractive colours, textures, lights, and flow. To make you understand how the interior designers help in renovating the home interiors, below a few classic or popular living room interior styles or shades are provided to give you the glimpse about the art of interior designing work. Contemporary living rooms draw on techniques of modern architecture so choose a sofa with sleek lines and a low profile, which can combine well with open space. Spatial planning is the most crucial element to consider when designing the living room interiors. The challenging factors when working on the interiors of a living room is to create a harmonious minimalist living room that exudes a warm ambience. Restraint is imperative here. So avoid clutter definitely. ‘Quiet’ spaces can accentuate styled spaces. There are several ways to incorporate colour into your living room. The trick with contemporary interiors is to balance bright colours in artwork and accessories with strong neutral paint colour shades for a look that is vibrant but not overpowering. To represent your innate taste, you must buy furniture for your living room that dictates your style taste. For instance, you may insert a sofa as a fundamental piece, a coffee table as a central piece, and so on. It’s a great idea to style the interiors of your home with furniture that represents your style and taste. The professional interior designers may help you in this regard to a great extent. 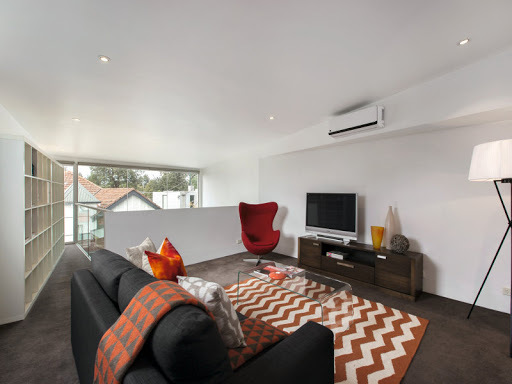 Like, the Melbourne interior decorators or designers are widely known for their superb home interior designing work. These home interior designers overlay a design that is overwhelming. For this reason, these interior decorators are often regarded as the best interior designers in Melbourne. The best thing about the Melbourne interior designers or decorators is that they focus on the size and scale of the room in the same manner as they make attention on the style. They use the declutter technique for renovating the living room interiors of your home. This is really helpful in maximizing the space of your living space by minimizing materials that are of no use anymore. Contemporary styles often focus on the modern shades of furniture, lightings, etc., when redecorating the home’s living room interiors. A refined and elite aesthetic goes well when styling the living room interiors with a luxury interior shade. You might use plush sofas and armchairs to dictate the feel and tone of your living room and the scheme that introduces texture to a neutral palette. When it’s about luxury interiors, think about leather, sisal, linen, and other natural materials. The Texture should be found in the artwork and lighting, so has to essentially consider aesthetic when styling. Luxury living room designs are not all about extravagance, there is more beauty in its simplicity and so a monochrome scheme can prove a powerful combination. When in doubt to choose dual accents for a glamorous feel and a balanced look, go for the side tables, or butlers tray tables. The Artwork is just as essential as furniture to convey personality and since trends are transient choose art that you love. Proportion, colour, and texture can be referenced for styling. A Major art piece will provide a luxurious effect. Also, you can use indoor plants for a calming ambience in the living room. The home interior designers overlay a design for your living room interiors that best describes you. Your interior space should reflect your inner self and should display you style and taste. The Melbourne interior decorators or designers are quite known for offering impeccable designing ideas for renovating the home’s living room interiors. A classic living room often are extremely spacious with abundant light so position your couch under an oversized window to allow the light and outdoors to be the focal point of a neutral room. You may add leather sofas to add character. Also, eclectic furniture can accentuate the period details without constraint. A space-saving secret is the best choice of a few full-size furniture pieces instead of cramming in lots of smaller ones. A classically styled interior may include subtle muted tones in scatter cushions and throws. You may use a nest of marble or oak tables, coffee tables, etc., for styling the living room interiors of your home. These three styles or shades of the living room interiors are very popular among people. You may take the assistance of the Melbourne home interior decorators or designers, if you wish to renovate the living room of your home with any of these styles or any other style of your choice. The best thing about the Melbourne interior decorators or designers is that they use the ‘KonMari Technique’ for decluttering items from home, listen to clients home living room interior wishes, and renovate accordingly. So, wish to style or renovate the interiors of your home’s living room, seek help from the professional interior designers and get a contemporary, classic, or luxury living room style for your home.